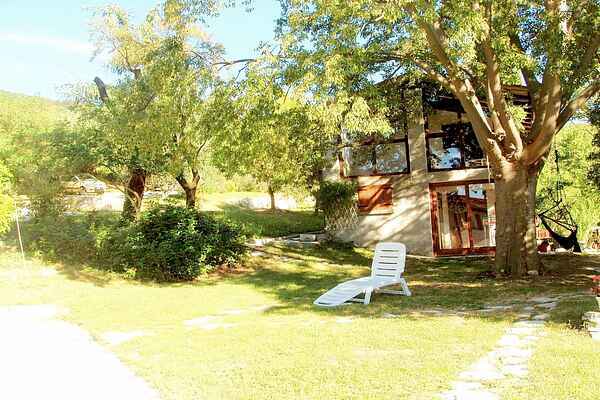 Charming, detached country property in the Colli Euganei Park. This rural holiday home has been cleverly renovated, with respect for period style and building materials. Furnishings are rustic and warm. The private garden will offer you countless moments of relaxation. The house is located within the Colli Euganei regional park; in an area known for its organic farming. Here, guests can enjoy pleasurable days walking along the parks many paths, cycling, visiting art cities, medieval villages and sampling food and wine in the Colli Euganeis typical Trattorias. The interesting surrounding area: Padua (a historical university town rich in culture, with works by Giotto), Vicenza (architecture and the Palladio villas), Venice (cultural, political and moral capital of the Veneto region, as well as a spectacular place to visit), Sottomarina, Jesolo, Caorle (sea and beach), Verona (Arena, Romeo and Juliette) and Lake Garda (beaches, surfing and amusement parks). News: air conditioning in the bedroom.